Earl, 57, was discovered by our Street Outreach Team, Open Door, in 2018. He had been living on the streets for over a decade. Earl is a United States Veteran who served overseas, and when he returned back to the states he fell upon hard times and ultimately became homeless. When we found Earl, he was very ill, he had severe mobility issues due to a stroke, high blood pressure, and diabetes. Our Nurse Practitioner worked with him to help stabilize his health, while our outreach team provided him with housing options and access to veterans benefits. At the time, Earl was extremely afraid he wouldn’t live another year. Today, Earl is housed, his health has been stabilized because of the services he received from Welcome House, and most important, he is happy. Your generous donation helps us save lives. Help us reach our goal of raising $50,000 to ensure that veterans like Earl can sustain their housing and live with the dignity and honor they deserve. For $10 you can feed someone for 2 days. For $50 you can help provide housewares such as pots and pans, bedding, and furniture. For $100 you can help purchase a new bed for a veteran just like Earl. 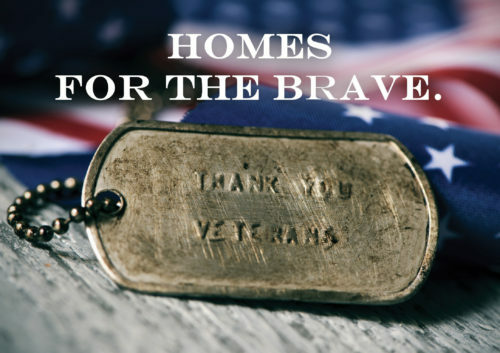 For $500 you can help a veteran with the deposit on their new apartment.